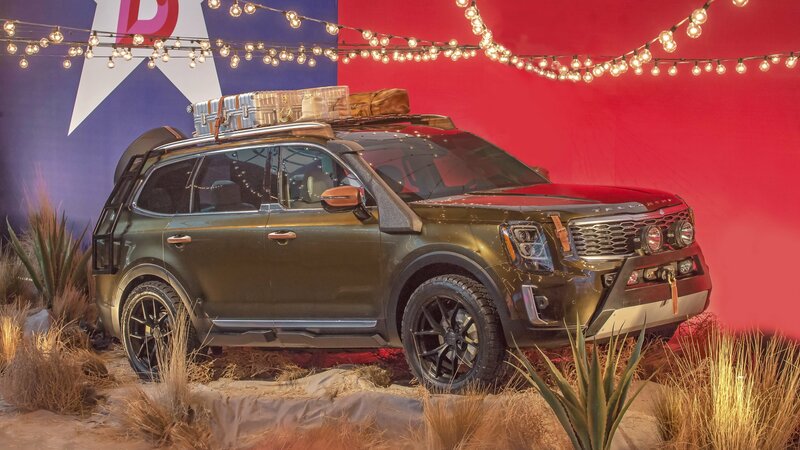 A lot has happened since Kia showcased the Telluride Concept at the 2016 Detroit Auto Show, and at the time, we were told that it was a “theoretical exercise.” For the longest time, the trail went cold but the SUV market continued to grow and, to little surprise, we eventually got our hands on some spy shots of a large KIA SUV being put through the paces. With that in mind, you’re looking at a three-row, eight-seater SUV with will serve as a flagship of Kia’s SUV lineup. It has changed dramatically so far, so let’s dive on in and see what we can make out! 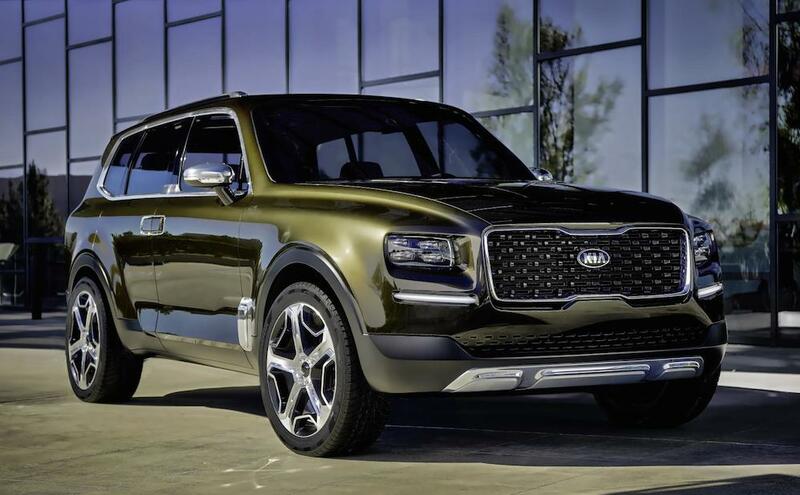 Update 9/10/2018: Kia has chosen to debut the new Telluride, full-size SUV as a concept-like one-off during New York Fashion Week. Check out our special section below to see the first shots of it and learn about what we know about the production model thus far. 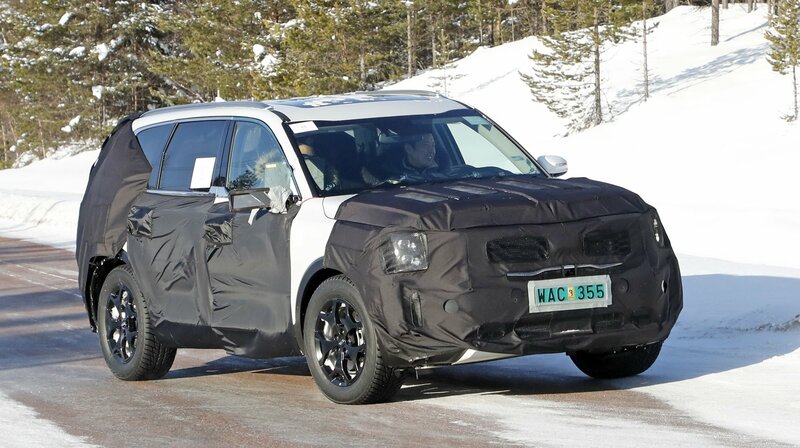 Kia finally pulled the covers off of the Telluride, giving us our first look at the automaker’s full-sized SUV. The debut took place at fashion designer Brandon Maxwell’s event during New York Fashion Week. 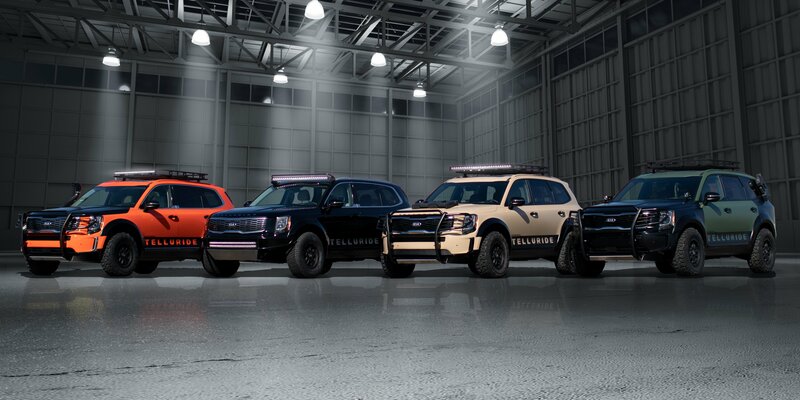 In keeping with Maxwell’s Texas-themed Spring Summer 2019 collection, the Telluride was dressed up in rough, off-road specification, complete with custom bumpers, skid plates, and an aluminum and wood roof rack. 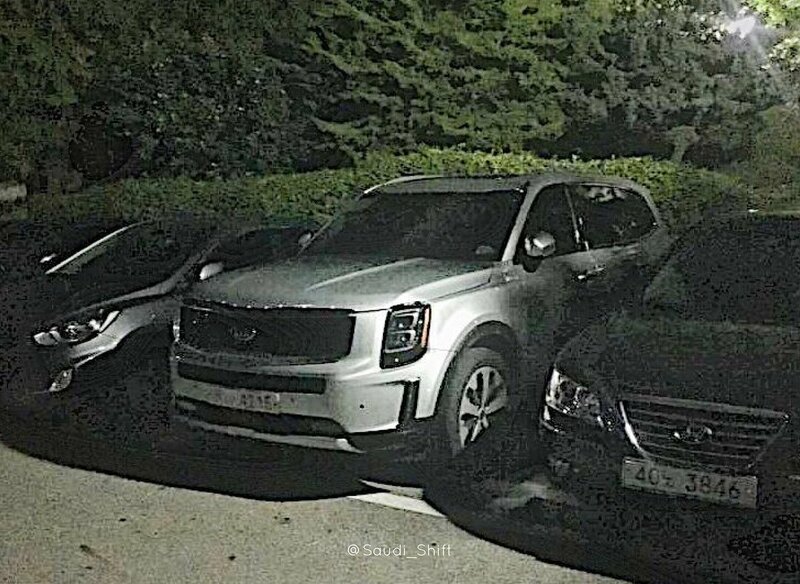 An uncovered prototype of the Kia Telluride was spotted chilling in the wild, giving us our first look at the full-sized SUV without any swirly camo covering it. There’s only one picture of the SUV, so it’s hard to make out other sections of the ride. But, the front section is unmistakable. 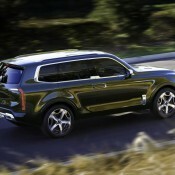 That’s the Kia Telluride, and it looks nothing like its concept counterpart. 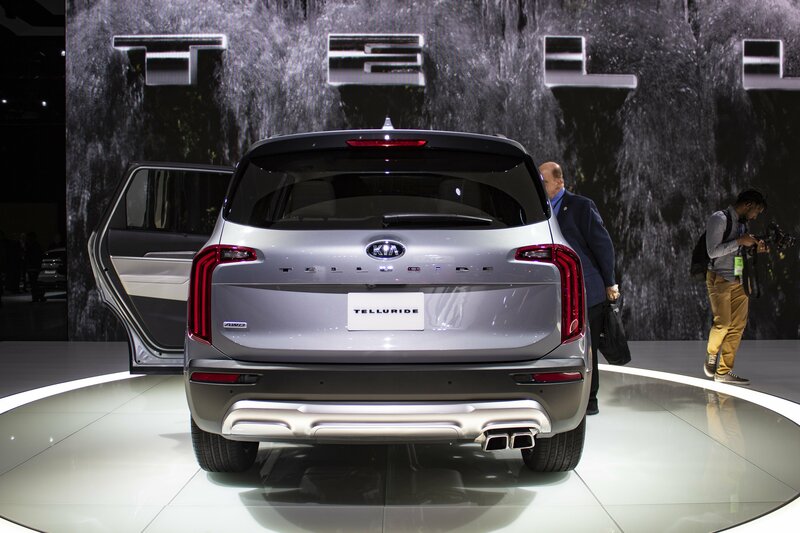 Kia is on a roll these days, running high on the success of its recent launches. From the Stinger sedan, to the luxurious K900, to the Niro EV, Kia is delivering powerful performances in all the segments. 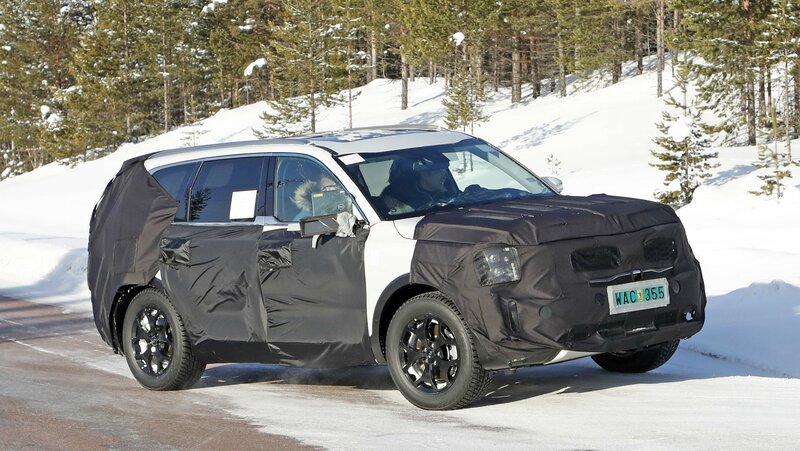 The latest scoop suggests that the Kia Telluride is about ready for production and will debut by the end of this year. Two months ago, Kia confirmed what many of has have been thinking for quite some time. 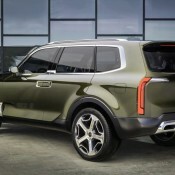 The Telluride Concept that the automaker showed at the 2016 Detroit Auto Show would be turned into a production model. Building off of that announcement, Kia has now confirmed that the production model will look a lot like the concept version from two years ago. More importantly, the Telluride’s “look” will also shape the design of Kia’s other crossovers and SUVs, including the Soul, Sportage, and Sorento. The big SUV Kia Motors has been teasing us with for the past week has now been unveiled at the Detroit Motor Show, and it’s an interesting concept. Kia Telluride previews where the company’s design language is headed while suggesting styling of a possible future premium large SUV. 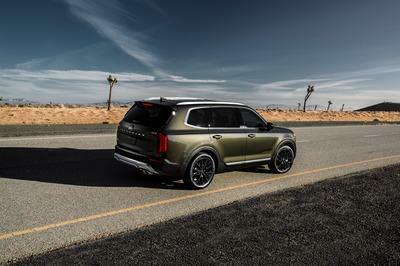 Being a concept, you can’t really judge the design of Kia Telluride by looking at its rear-hinged back doors, Dark Pyrite green paint, 22-inch wheels, or LER lights. They don’t mean nothing because they won’t make it into any production model any time soon. What could be considered as noteworthy in this concept is the Swipe Command. It’s a thin, touch-sensitive, interactive band mounted to the second row center console – which allows rear-seat passengers to quickly scroll and select desired media by simply swiping their hand. Now that’s a technology that is sure to be found in production models in one form or another. Another is the finger-print activated push-button start which sounds like a good security feature. 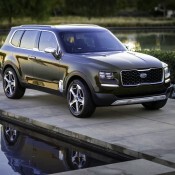 Kia Telluride Concept is powered by a hybrid system consisting of a 3.5-liter gasoline direct injected (GDI) V6 engine and a powerful electric motor, developing a combined 400 horsepower and returning 30 mpg. Needless to say, the car boasts all-wheel-drive. 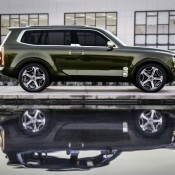 Kia has no plans for the time being to put the Telluride into production. The post 2016 NAIAS: Kia Telluride Concept appeared first on Motorward.